As the first Korean candle range to launch in the UK, Soohyang has set the bar high. 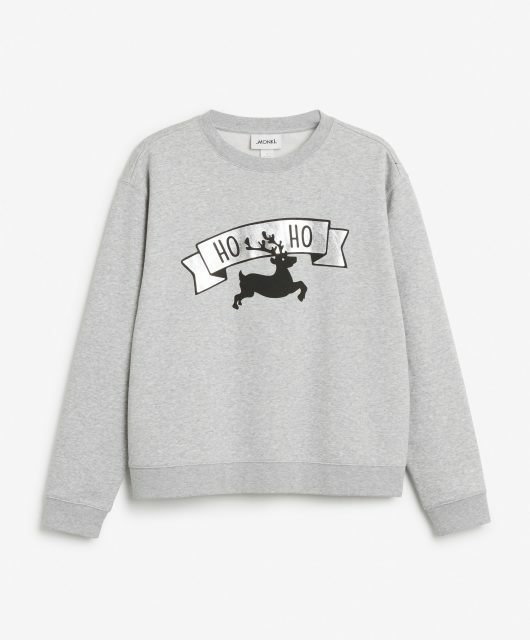 It’s really just right for the mood of the moment being both quirky in concept but stylish in nature. The story is a tiny start up in Seoul that transformed a quiet backstreet into a busy shopping street by word of mouth popularity. Founded by Soohyang Kim (fortuitously, Soohyang means ‘excellent fragrance’) in 2013, the brand is now stocked in Nordstrom in the US and Fenwick in the UK. 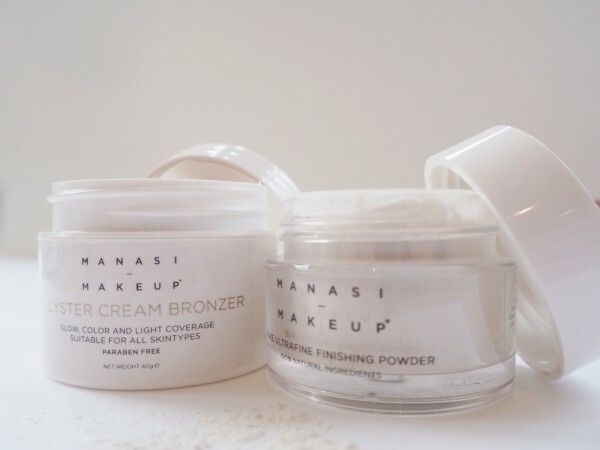 Savvy buyers have talent spotted this brand for its take on scent – Girl’s Neck, Every Day Is Like Sunday and New Shoes as well as fragrances named for places in Korea. 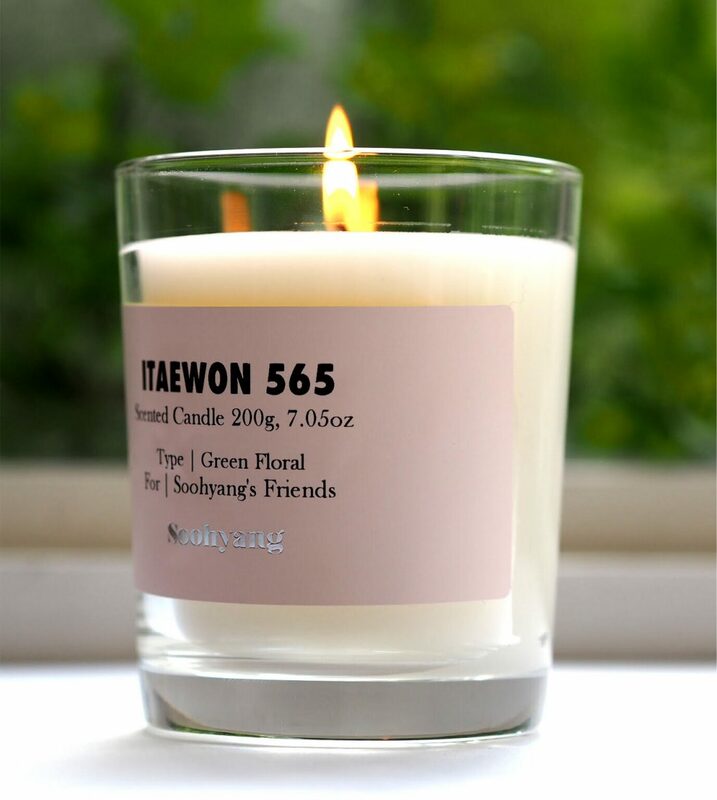 Their best seller, the one I have here to try, is the green floral Itaewon 565, the address of the original store. The range doesn’t just carry candles – there is every type of home fragrancing you can imagine – from diffusers and wax tablets to a car fragrance. 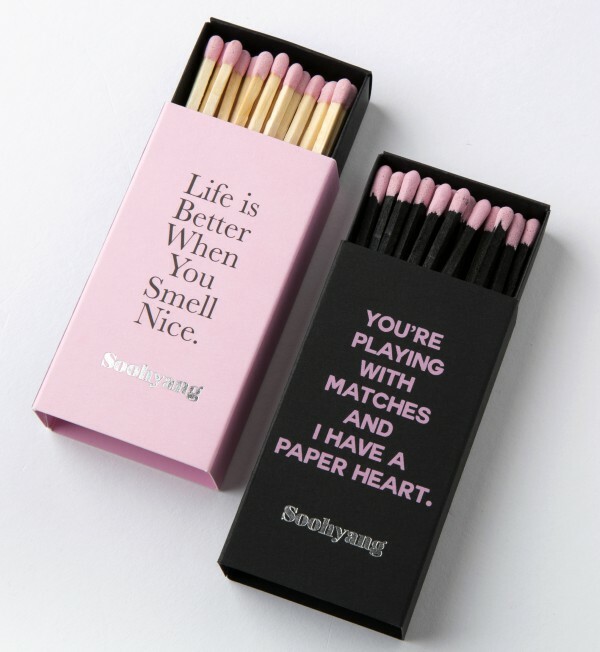 I love the simple message that Life Is Better When You Smell Nice which appears on all of the packaging, although maybe the matchbox message below is a bit obscure! 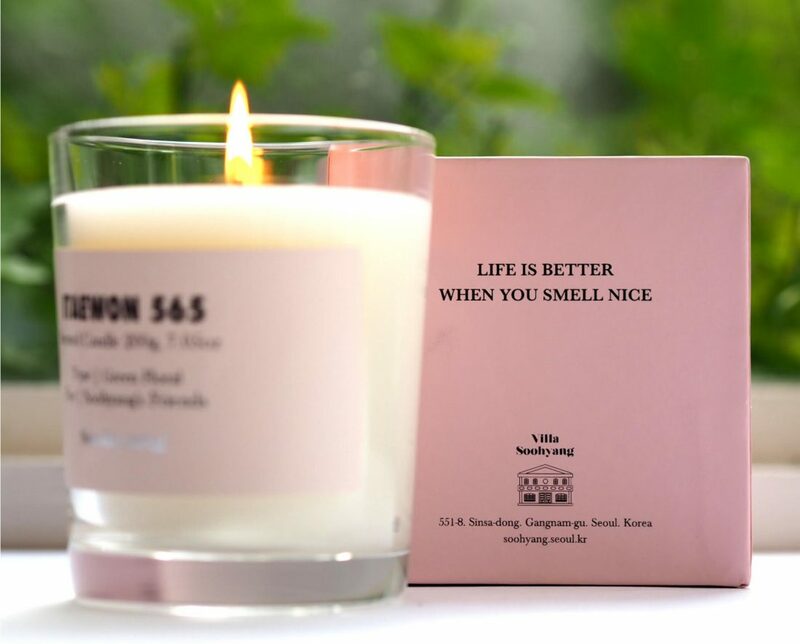 There is plenty of fragrance coming from Itaewon 565 – I’m not even in the same room and I’m getting waft after waft of green and light woods that reminds me a bit of inside a greenhouse. It’s frustrating that Fenwick doesn’t have a website (I know.. it’s unbelievable) so you have to buy in store until more stockists appear in the UK, which they undoubtedly will. Candles are £36, so an average price for a premium candle – matches are £7 (eek!). 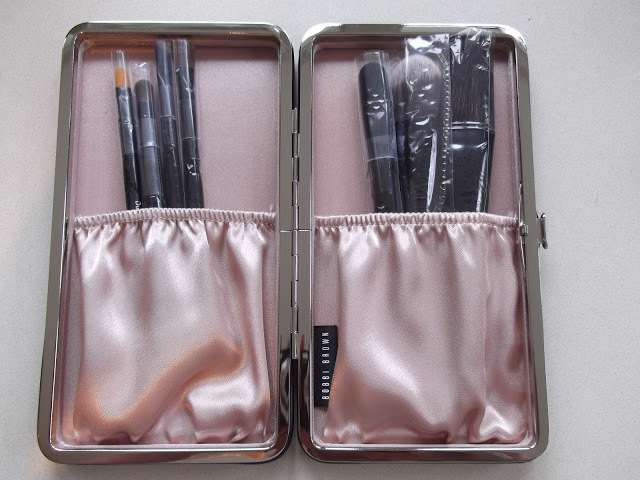 Soohyang is definitely one to watch – it looks as though the brand has had fairly recent investment with shops popping up in Japan and a pop up in Hong Kong.